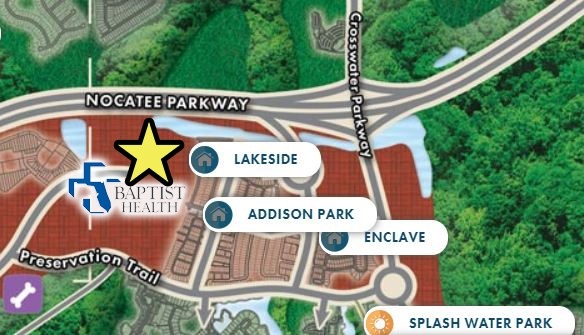 Three new health care options are opening in the master-planned Nocatee community: Baptist Health Medical Campus, CareSpot in Nocatee, and Flagler Health Village at Nocatee. All will be centrally-located in the Nocatee Town Center, an exciting section of new shopping, dining and neighborhood services. Baptist Health will break ground in early 2019 on a comprehensive health campus in Nocatee. The campus will include primary care, specialty care and wellness programming. The facility will be located west of Nocatee Town Center and the Lakeside neighborhood facing Nocatee Parkway. The medical campus will feature stunning lake views, and will be accessible via walking paths and golf cart paths in the community. The new Flagler Health Village at Nocatee, opening in summer of 2020, will include dedicated green space for healthy lifestyle & arts activities, a community education and partnership center, family practice, pediatrics, specialty care and women’s health services. 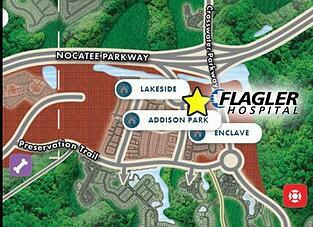 Flagler Health Village will be located in the Nocatee Town Center, on Town Plaza Avenue. CareSpot in Nocatee plans to open in early 2020. This will be the 15th CareSpot location affiliated with Baptist Health and will be open extended hours, seven days a week- including evenings and holidays. 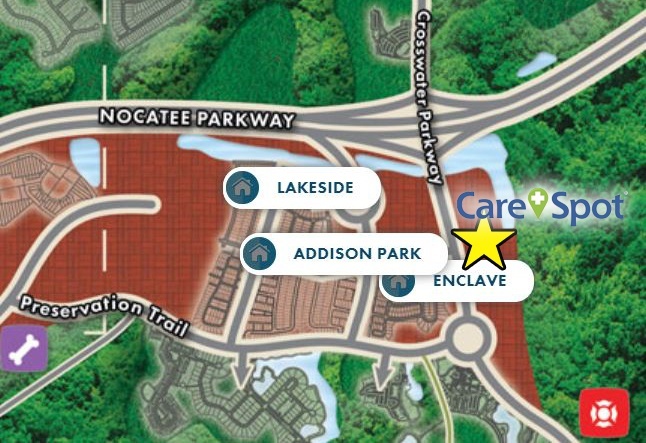 Located in the heart of the Nocatee Town Center (directly north of the Dunkin Donuts and on Crosswater Parkway), CareSpot will offer six exam rooms, a procedure room, as well as on-site X-rays and lab services for one-stop convince. To learn more about the Nocatee community and new homes available, explore Nocatee.com, stop by the Nocatee Welcome Center or call 904-924-6863.